Even though I’d rather cycle with the wind in my hair, unhindered by any kind of head protection, I don’t live in the bucolic idyll I’d like to, so I do ususally wear a protective helmet, especially when riding in traffic. It’s also mandatory for any kind of event, and I’d expect my kids to wear one so it’s only right that I practice what I preach to them. 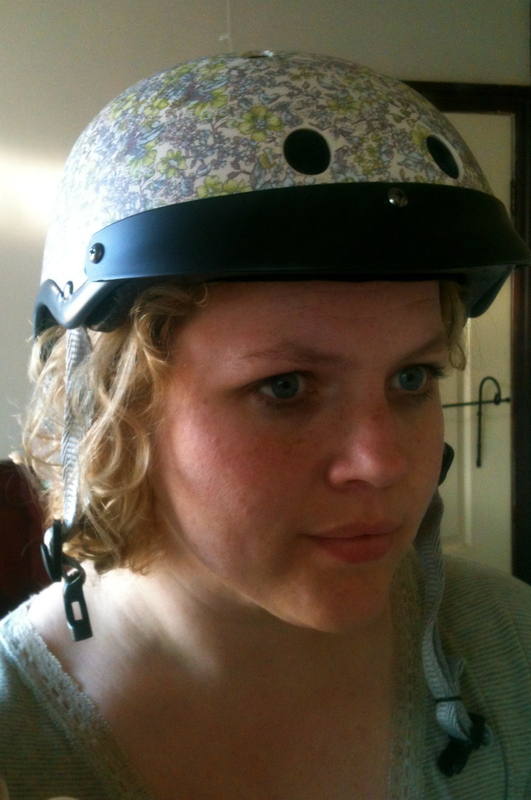 After I bought my beautiful Pashley Princess Sovereign (recently christened Lucinda) I really wanted a helmet that felt more in keeping with her feminine style. My old helmet, borrowed from my husband, wasn’t exactly fitting the bill. Thankfully, I’ve recently discovered the beautiful helmets made by Sawako Furono. An architect by training, she designed the helmets to be a stylish alternative to the usual, masculine headwear we’re usually presented with. When I’m riding any other bike, I’m more than happy to wear my old helmet, but on the Pashley, this feels like a better option. I’m not letting my beautiful new bike down with a rubbish old helmet! The helmets cost about the same as a high-end cycling helmet of any brand, but are produced in very limited numbers and in beautiful colour options. They are one size, with an adjustable dial at the back. For a brief second when I tried it on, I thought it was too small, but thankfully I was wrong and once I’d opened the fitting up at the back, it fitted perfectly and is really comfortable to wear. 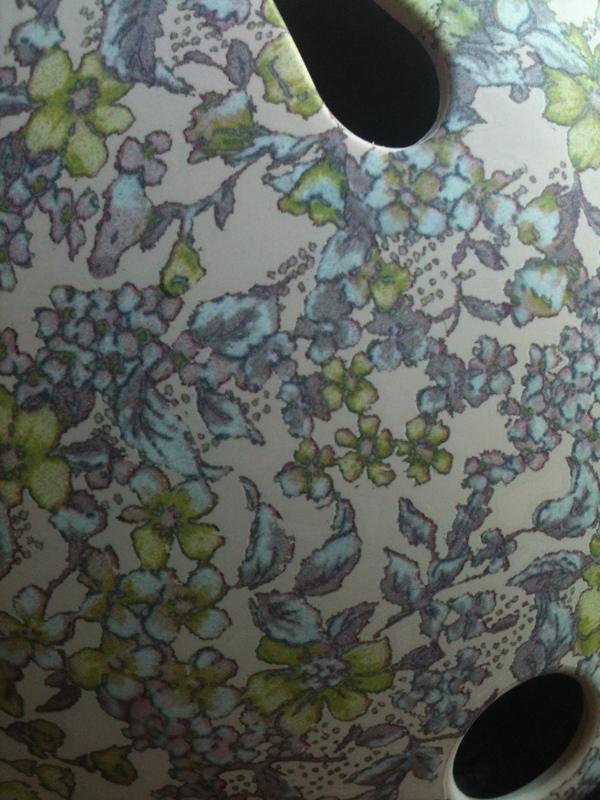 A close up of the Liberty-esque print. 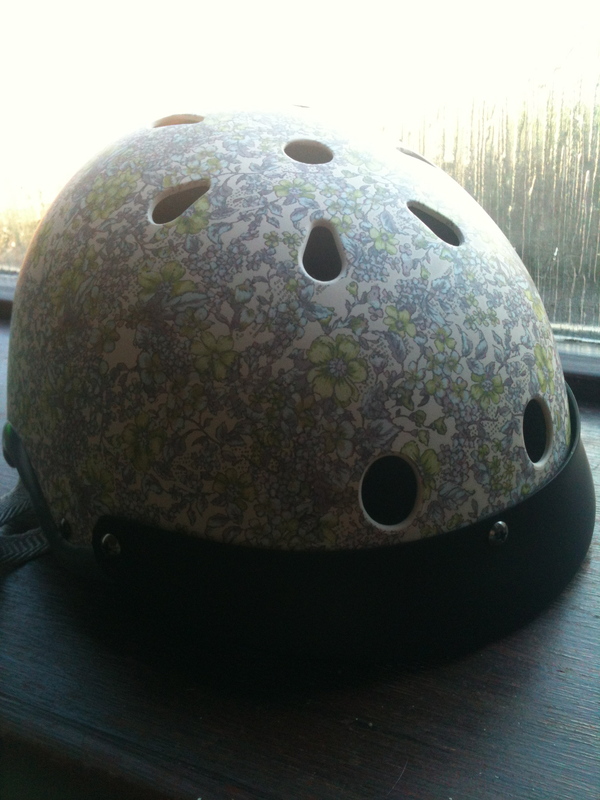 I bought my helmet from Cycle Chic, although you can also buy them directly from Sawako Furono’s website. Cycle Chic have a range of other helmets as well as other great panniers, clothing and accessories. Enter your email address to subscribe to my blog and be the first to receive news by email. Click to learn more about Lark skincare! Elizabeth on Getting older but getting fitter. Julie on Getting older but getting fitter. Gemma Evans on Hello again. nombuso tiny nzuza on Five Signs You’re a Multipotentialite.